When you're visiting Downtown Madison, chances are you'll have a few questions. Our Information Ambassadors work as concierges, ready to offer maps, downtown directions, event information, shopping and dining suggestions and a friendly smile. 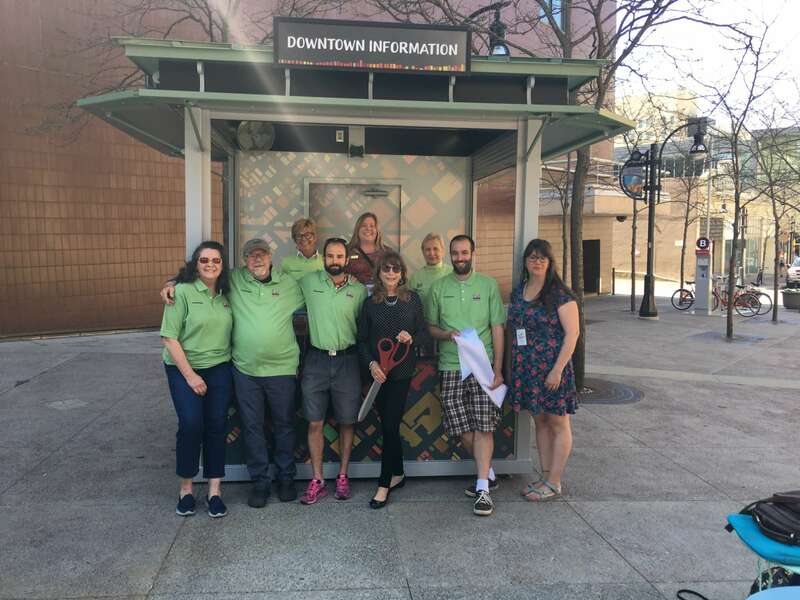 Wearing their signature green shirts, Information Ambassadors can be found at the Downtown Madison Visitor Center seven days a week year-round, in an information booth on the Capitol Square during the warmer months, on a trolley during the holiday season and at special events throughout the year. Send us your questions and we'll respond by email. The Visitor Center and Info Booth may feature extended hours during special events. Check here for updates. Downtown Madison has two ambassador program - Downtown Information Ambassadors and Special Event Ambassadors. Read more. 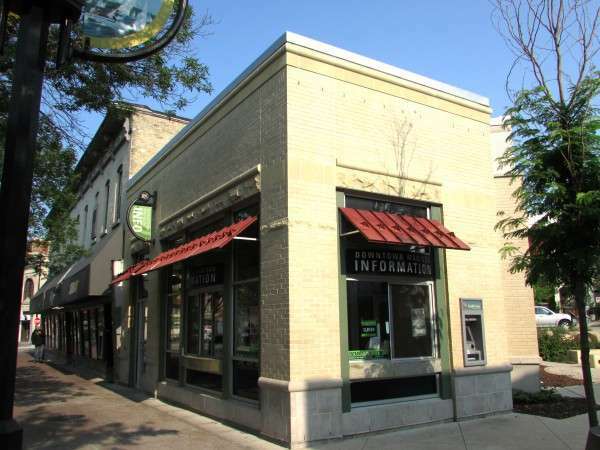 The year-round Downtown Madison Visitor Center is located at 452 State Street in a renovated Lisa Link Peace Park. Downtown Ambassadors are staffing the Visitor Center in partnership with Madison Parks. Stop by for maps, directions, event information, and shopping and dining suggestions. The Downtown Madison Visitor Booth is open seasonally at the top of State Street. Located near the Capitol Square this booth is staffed for most major events to help visitors as they explore the heart of the city.